Have you seen Big Blue? 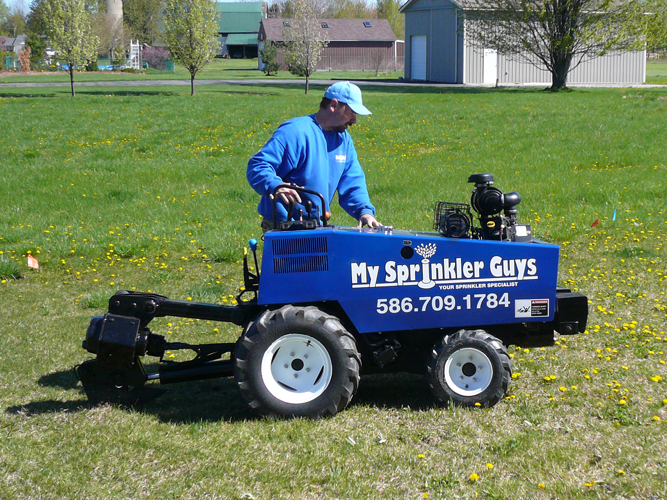 Our mission is to take care of our customers with the highest quality sprinkler service in the industry. We offer competitive pricing, timely service, and pride ourselves on treating all customers in a friendly and professional manner. 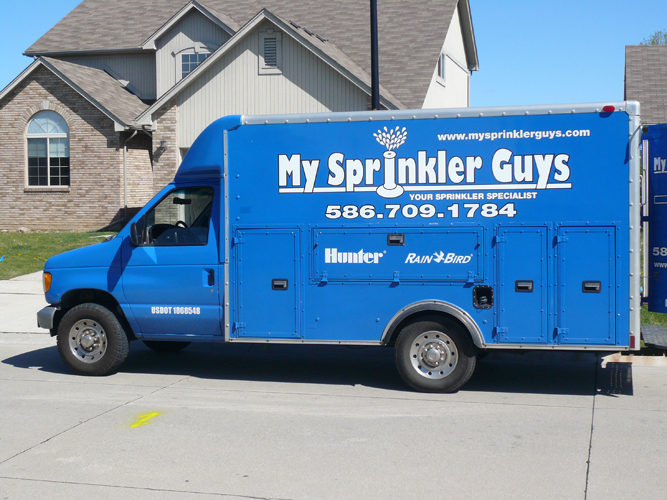 My Sprinkler Guys is a full service irrigation company specializing in repairs and maintenance of home and commercial sprinkler systems. Whether a problem is caused by environmental wear, product lifespan or faulty installation, we can fix it. My Sprinkler Guys’ repairs are second to none. 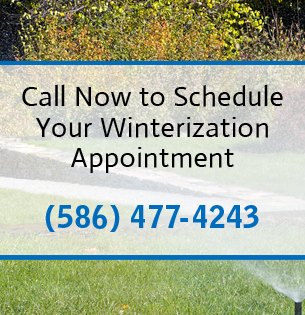 We also provide start up and winterization services that include looking for trouble spots so you can take care of them before things get worse. We also install new systems and upgrade older systems to be more efficient and cost effective. Chesterfield Township, Clinton Township Macomb Township, Harrison Township, Rochester and Rochester Hills, Sterling Heights, Shelby Township and Washington Township. There are many companies that install sprinkler systems, but only a handful that specialize in sprinkler system repair and maintenance. Where appropriate, we use copper pipe instead of plastic PVC which extends the longevity of your system and prevents some common line breakage/damage issues. Also, the type of manifolds we use allow for faster, easier repairs which can also help you save money in the long run. The goal for some companies is to quickly install a system and then move to the next. This often results in poor performance and lots of future repairs and problems. We will always take the time to do quality, custom work that will last for years to come. 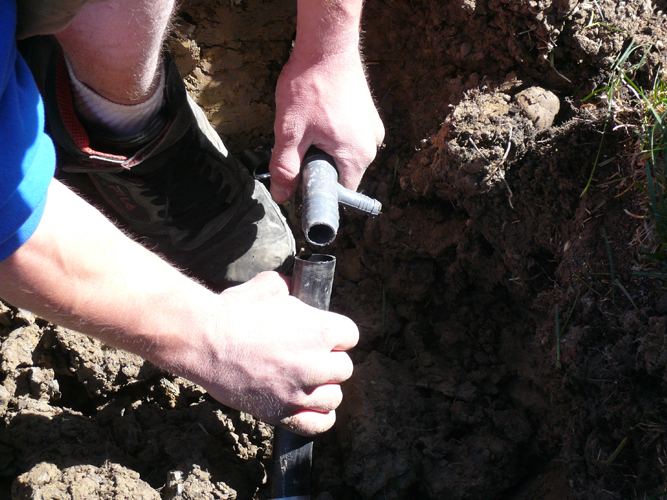 Because of our strong knowledge of the industry, our drive for perfection and client satisfaction, we have built a reputation for being reliable, honorable and overall professional irrigation specialists.